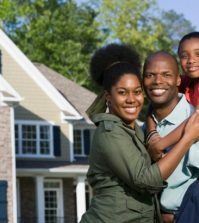 Research suggests that African Americans are more likely than the general population to have small business aspirations. But I’m sure this is no surprise to you! Many of us grew up with dreams of “being our own boss” and becoming the next neighborhood success story. Owning a successful business can be a realistic goal for many, but it requires dedication, preparation, discipline and knowledge. At several points during my career, I pursued entrepreneurial endeavors. When I first graduated from college, the job market was challenging – similar to what we are experiencing today. I decided then that if I couldn’t find a job I would create one. First, I took the time to consider the skills I acquired in college to determine how best to capitalize on them. Given my studies in finance, I decided that I would start a tax service business. I knew that the field was competitive, so I created a niche for my new business by offering pick-up and delivery services. I was very excited to become a small business owner, but not so eager that I didn’t take the time to deliberately plan and prepare for success. Before pursuing my first client, I made certain to develop a long-term business plan. Having a solid plan allowed me to define my business, outline my products and services, create my marketing strategy (including target audience and geography) and develop a financial plan. It also helped me look serious to potential clients, investors and lenders. 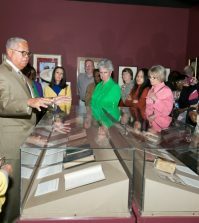 I learned that it is equally important to seek guidance from subject matter experts who specialize in small business. Most states have small business development centers or branches of the federal Small Business Administration (SBA) office that offer free business counseling and services for both startups and established businesses. Having a relationship with a banker is also essential. You’d be amazed at what your bank has to offer. Whether your business is large or small, a banker can help provide general consultation on ways to help grow your business. While some new businesses don’t initially qualify for lending because of lack of collateral or poor credit history, most banks do offer other business products (like checking accounts), services (like overdraft protection) and tools (like online banking) to help new business owners better run their business. My local bank became a great resource and provided me free tools and information to help me manage my business. For instance, my bank connected me with community agencies specializing in small business development. In fact, this led to a full-time employment opportunity with the NAACP Community Development Resource Center in Richmond, Va., where I was able to pursue my passion for helping individuals and families achieve financial success. 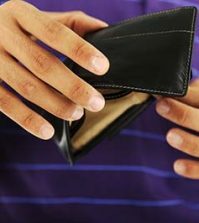 Some of the best advice I ever received was to make sure I never comingle my personal and business finances. When you’re just getting started, it’s typical to use your personal accounts for business expenses. However, establishing accounts in the name of your business creates a clearer financial picture, allowing you to more easily track and manage business expenses. It also helps lenders and investors when making decisions regarding financing and investments. Last but certainly not least, make it official. African Americans are infamous for “side hustles,” and finding ways to earn extra income beyond your regular nine-to-five is generally encouraged. If you find yourself with a profitable business venture that is marketable and has the potential for long-term success, go ahead and file the appropriate paperwork to legally establish your business. This could create opportunities to grow your business and increase revenue by providing access to bank and government financing options, as well as other resources. Good service breaks down barriers. Network and seek guidance – no matter how much you think you know, there is always something new to learn. Regardless of whether you work for a company or are self-employed, leverage the skills you have to capitalize on opportunities. 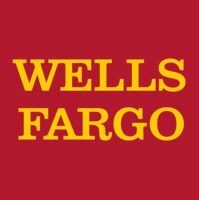 For free tips, tools and resources to help you reach your entrepreneurial dreams, visit the Wells Fargo Business Insights Resource Center at wellsfargobusinessinsights.com. This site offers an extensive library of expert advice, videos, podcasts, articles and more to help manage and grow your business – regardless of the stage. 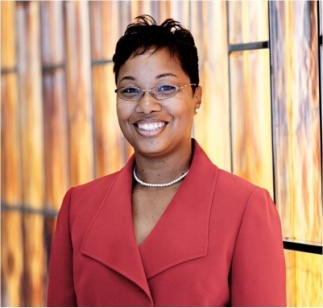 Michelle Thornhill is senior vice president, Diverse Segments for Wells Fargo & Company. Visit www.wellsfargo.com/aspirations for more information.